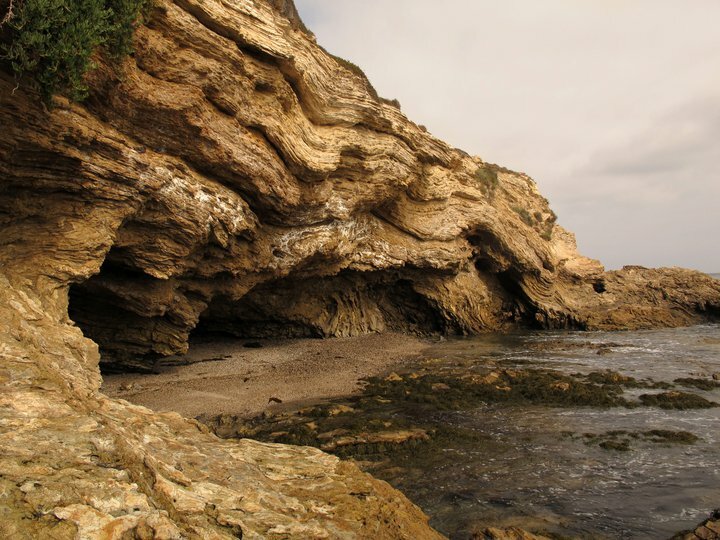 Crystal Cove is a huge state park located a few miles South of Newport Beach along Coastal Highway (route 1). Coastal Highway splits the park in half, separating the coves, arches, sea caves and pristine beaches from the mountain biking and hiking trails on the mountain. You never really lose sight of civilization in the park, but the only sound you’re likely to hear is the wind and surf. The beaches don’t get the weekend crowds in the summer that Newport and Laguna can get, but the amenities are limited to just the bathrooms adjacent to the parking areas. 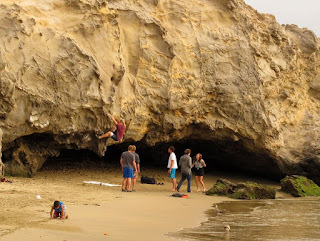 To really experience Crystal Cove, you’ll probably need a full day. You can’t camp on the beach in Crystal Cove, but you can hike to the top of El Moro canyon and camp along the ridge at the Upper Moro campground. 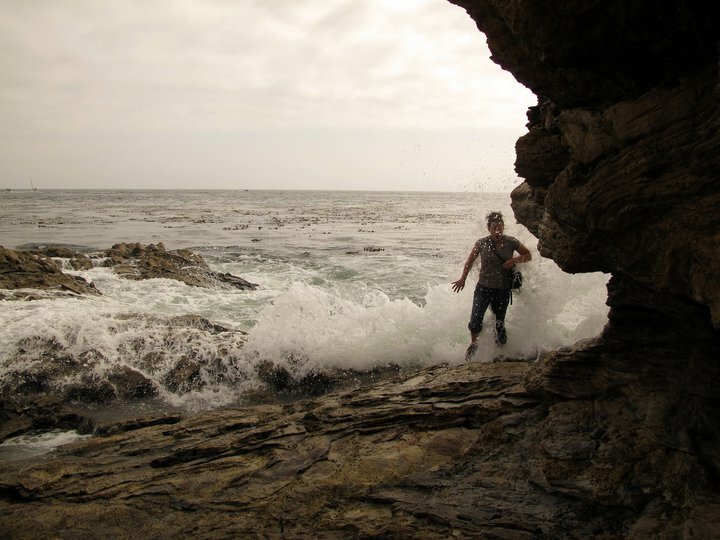 It’s a somewhat strenuous 4 mile hike up the mountain to the campsites, but you’ll be rewarded with awe inspiring views of the ocean. I’ve never camped there myself, but it’s on my to-do list for the summer. The campground is primitive, so you’ll have to pack in all of your provisions. Don't forget the bio-degradable toilet paper. My preferred hiking route is to climb up El Moro canyon on the El Moro trail to the top, follow the ridgeline south and then descend on the Moro Ridge trail. Watch out for mountain bikers and beautiful trophy wives in sports bras on the trails. 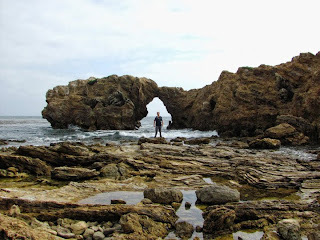 The Northern Part of Crystal Cove has an underwater scuba park, caves, arches, hidden coves and tidal pools. 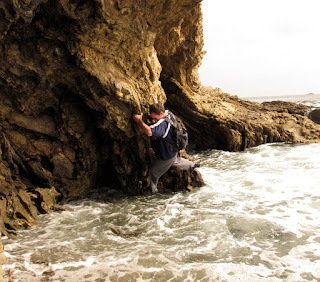 When the tide is out, you can scramble along the rocks from Corona Beach to Crystal Cove. This section of beach isn't technically part of Crystal Cove, but it has a lot of cool features to see. It’s a very delicate ecosystem, so try to keep out of the tidal pools. You’ll see crabs, mussels, clams, sea anemones, and the occasional seal sunning himself on the rocks. 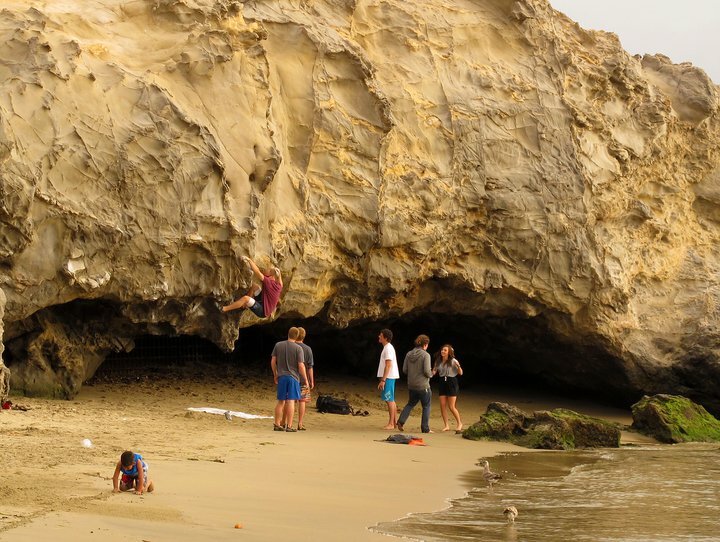 The caves in this section are the best in all of Orange County. For me, the large natural arch called Arch Rock is one the highlights of the park. It’s located past the northern most part of the park on the beach before you reach Corona. It can take some tricky rock scrambling to reach it from either direction and sometimes its unreachable because of the high tides. You can find the location on Google maps.